Select Table attributes by checking the options as per requirement. 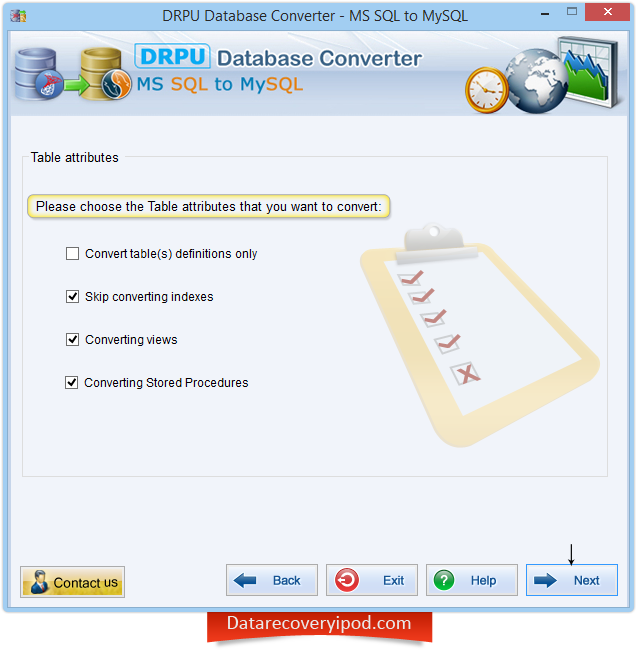 You can convert table definitions only, convert views, stored procedure. 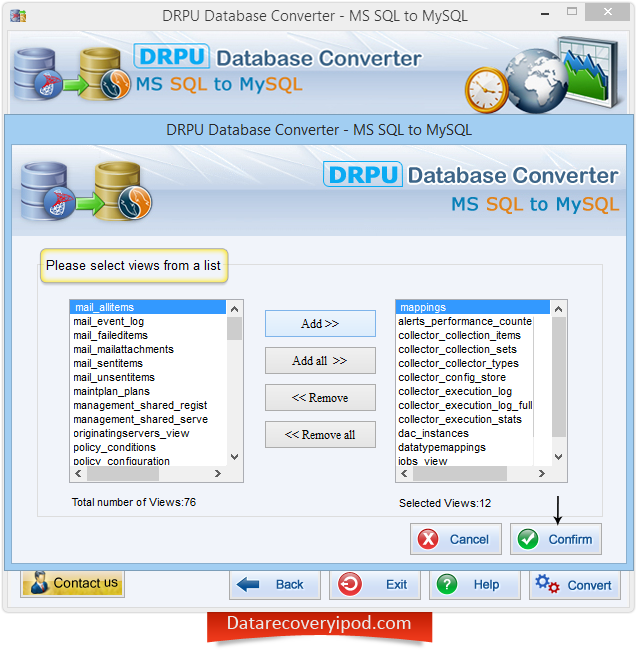 Software also facilitates users to skip conversion of indexes. 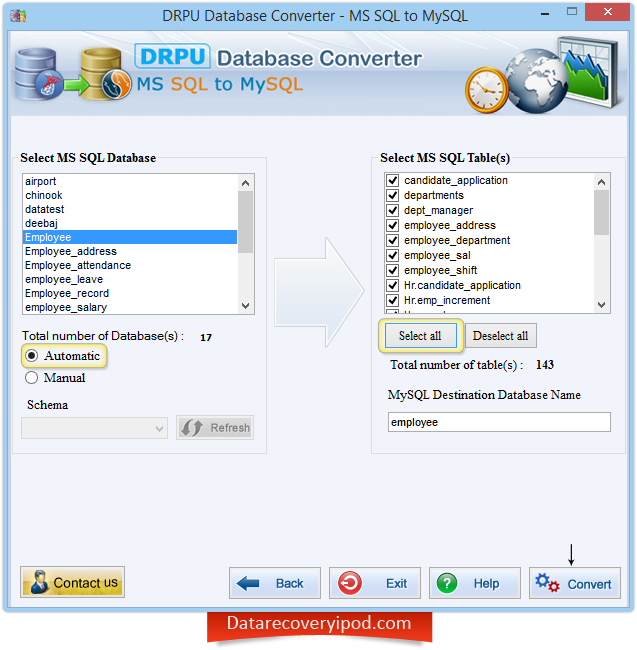 From left panel, select MS SQL Database. There are two options to choose schema of selected DB – Automatic or Manual. Choose any option as per need. 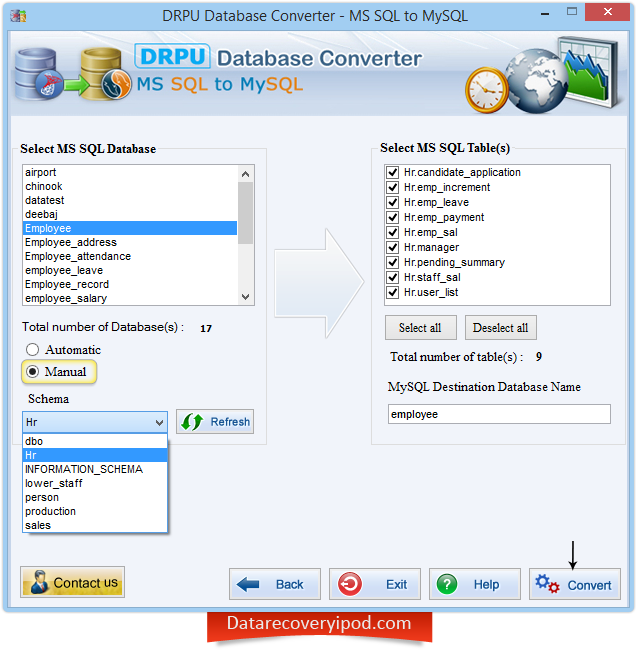 From the right panel, check table records that you want to migrate from MS SQL to MySQL DB. Write name for your destination DB. Above screen displays Manual Selection of HR schema and corresponding table’s records are shown in right panel. After filling necessary details, click on convert button. If you want to convert views also (option that is enabled during tables attributes selection), add them and click on confirm button to start actual conversion process. 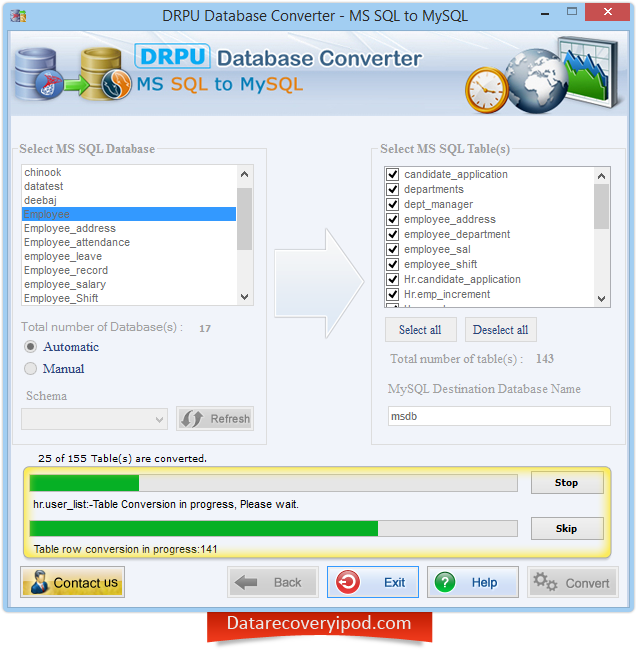 Above screen displays on-going MS SQL to MySQL DB conversion process. You can abort process by clicking on stop button or skip table conversion by clicking on Skip button or let it complete. 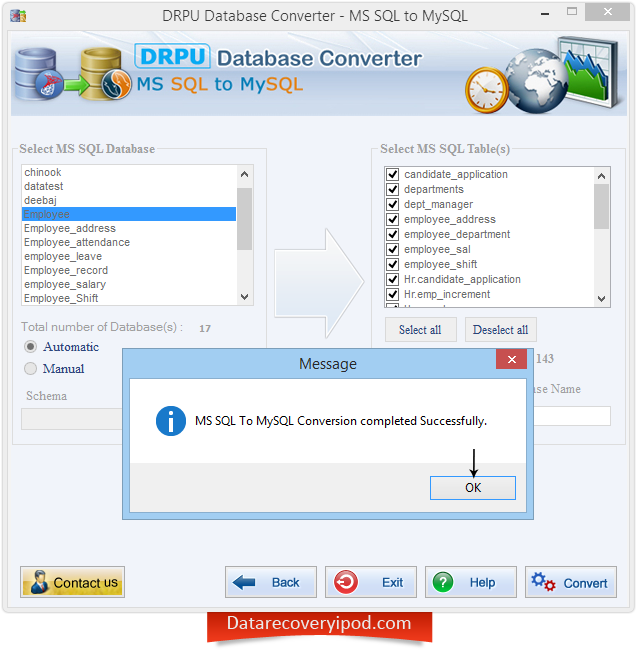 After Microsoft SQL to MySQL DB conversion, a confirmation message will display MS SQL to MySQL conversion completed successfully.